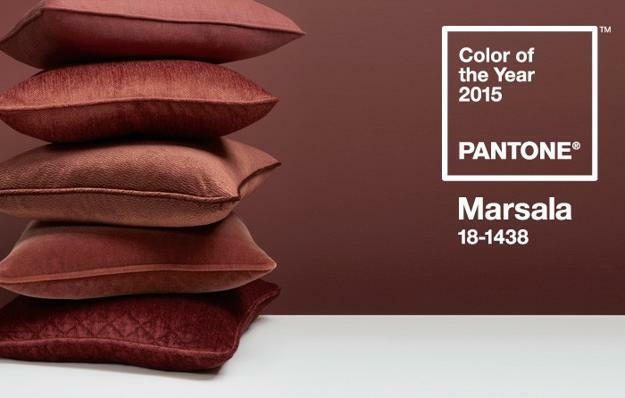 Bedroom colors for 2015 include Marsala color, the beautiful red color of Sicilian wine. 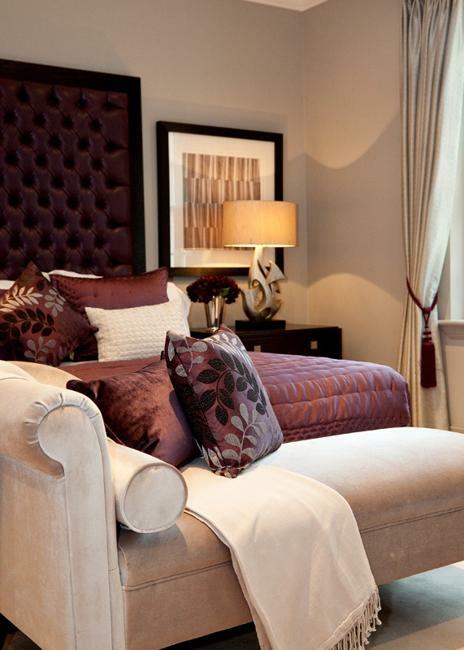 Modern bedroom decorating with Marsala color feel warm, beautiful and rich. 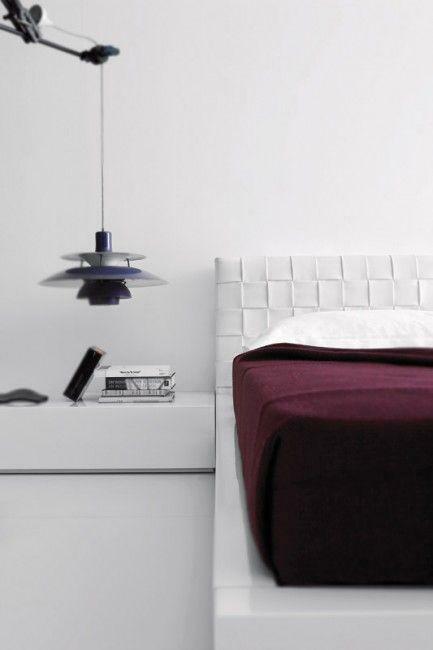 Lushome shares tips for modern bedroom decorating with this amazing color and ideas for matching colors of existing bedroom design with items in Marsala color. 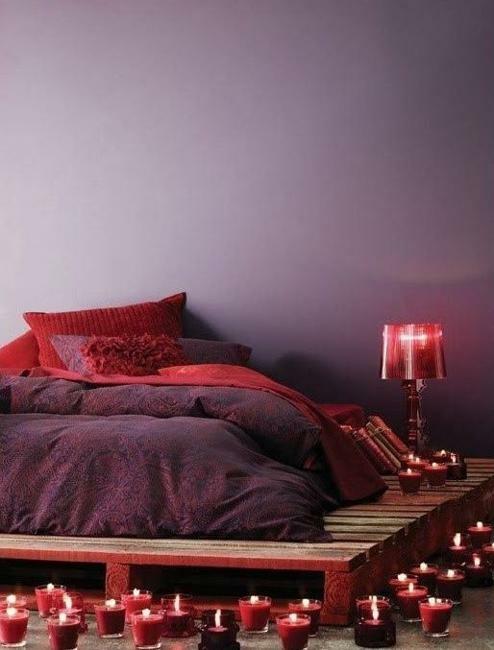 Bedroom designs that include items in the red wine color look very beautiful. The warm and dark red color creates wonderful contrasts with white decorating ideas, cool colors and pale color shades of warm room colors. 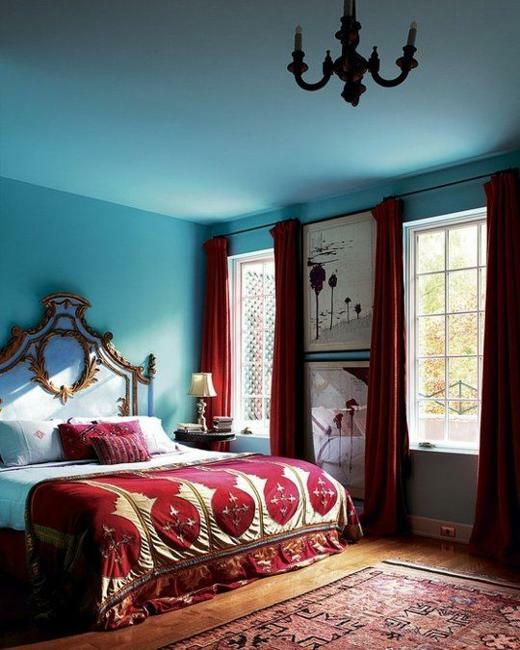 This red color feel romantic and elegant in modern bedrooms. The bedroom decorating ideas and color schemes below tell how to use this color for creating beautiful and modern bedroom design, matching decor colors with spectacular accents in Marsala color. The color schemes help to add stylish details to modern bedroom design and decorate a bedroom in elegant and comfortable ways with Marsala. This dark red color of Sicilian wine is warm, rich and powerful. 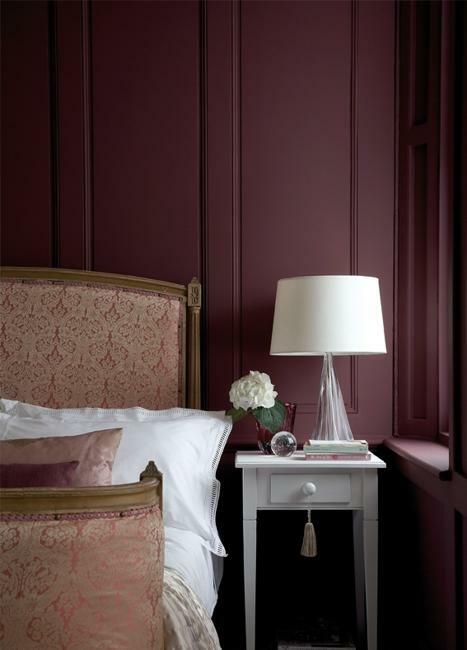 Using the dark red color in moderation allows to refresh bedroom design and create beautiful bedroom decorating with a stylish touch of color. 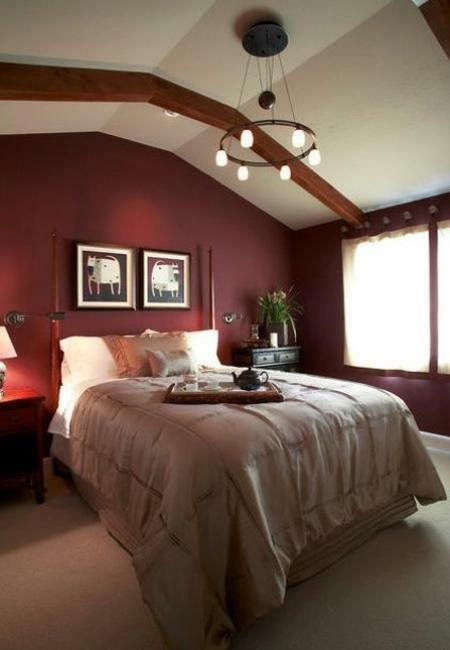 Too much dark red color can add years to any bedroom design and make bedroom decorating feel dated, old fashioned and unappealing. 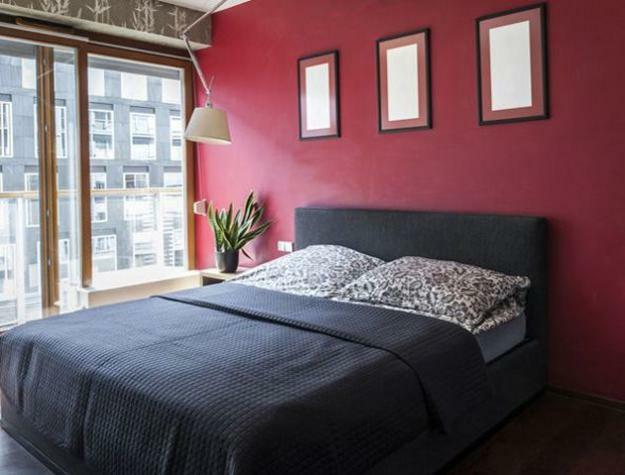 The Marsala red color is great for decorating walls and windows. It looks fabulous in floor rugs and bedding sets, throws and pillows. Wall decor, artworks, tapestry, lamp shades or flower pots in this red colors enrich modern bedroom decorating, bringing warmth of this wonderful modern color into bedroom designs. 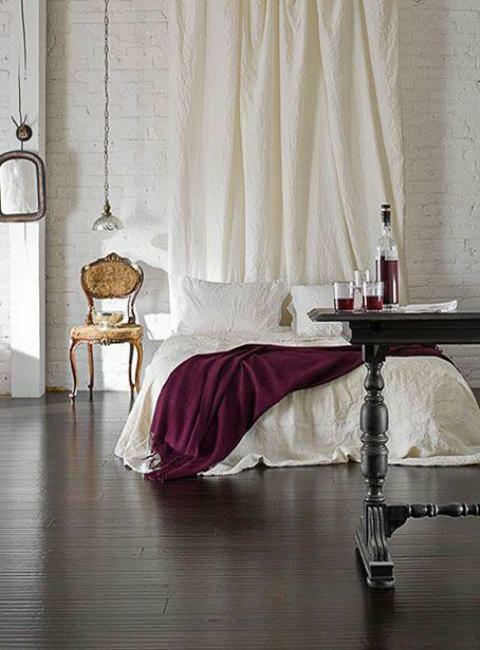 This red wine color is fantastic for refreshing and emphasizing bedroom designs in neutral colors. 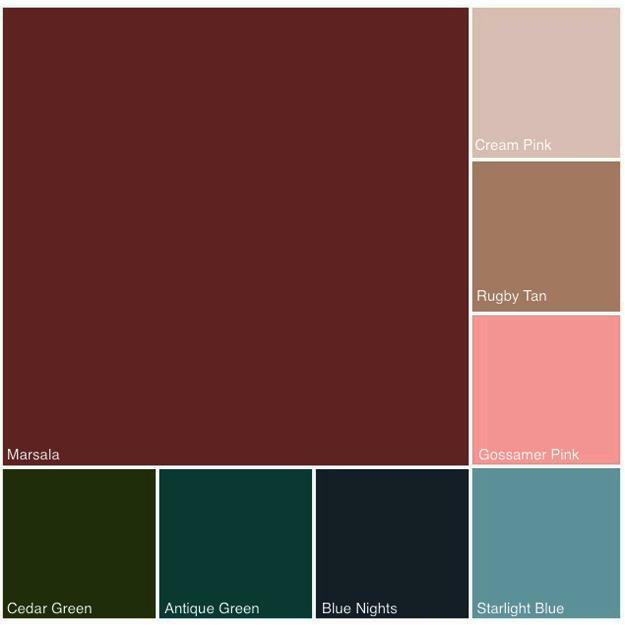 The red wine color is perfect for creating bedroom color schemes with pale neutral tones, light cool room colors and pale pastels. You can buy a floor carpet, window curtains, bedspreads and bedding sets, decorative pillows and war art in Marsala color. Small bedroom decorating accessories, like candle holders, lamp shades, flower pots, pillow cases are cheap ideas that help to transform bedroom decorating and add this gorgeous modern color to existing bedroom colors. 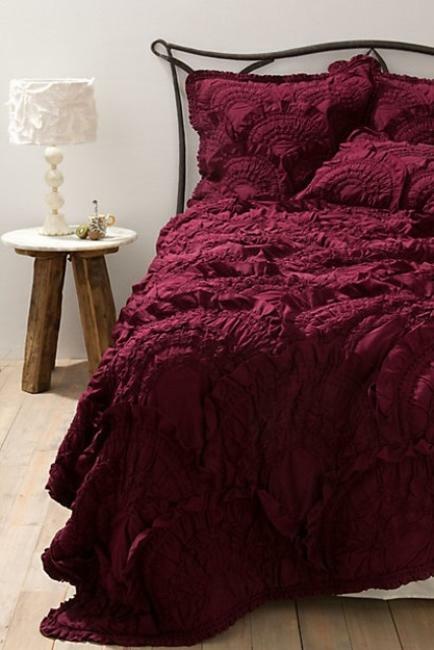 There are many ways to beautify and style modern bedroom design with trendy red wine color. 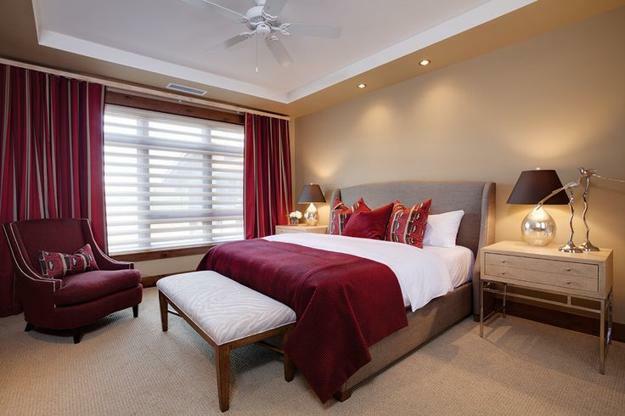 Get inspired and experiment with your bedroom decorating ideas, creating elegant and pleasant color combinations with items in Marsala color in 2015.